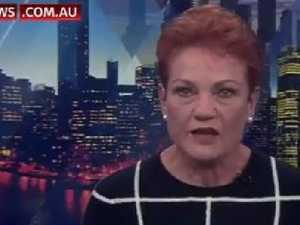 One Nation Senator wants to boycott halal Easter eggs. News WALEED Aly has mocked Senator Pauline Hanson’s attempt to urge Australians to buy “non-Halal” Easter eggs in a simple yet perfect way on The Project. News ONE Nation Senator Pauline Hanson has seemingly backed a boycott on Cadbury Easter eggs, calling for people to buy from competitors that are “non-halal”.